Sure-Foot’s heavy duty rubber tiles are perfect for providing safe interior stair coverings in any building with pedestrian traffic. As economical as they are attractive, this black solid pattern comes with a continuous diamond pattern and is built to last! If you’re interested in adding safety and durability to your flooring, consider these anti-slip tiles. Learn more about reducing the risk for slips and falls with Sure-Foot Industries, a leading expert in safety and anti-slip flooring products. 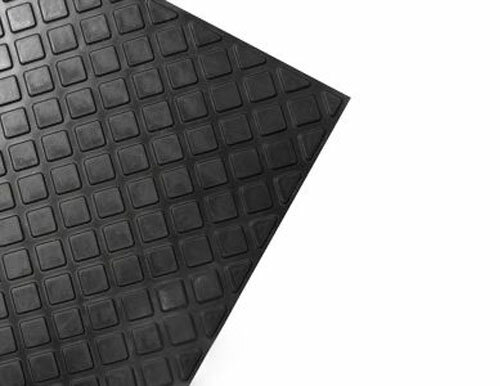 All of our heavy duty anti-slip stair tread and tiles are manufactured for heavy traffic and exceed the ADA recommendations for slip resistance.